"Grace" (Jeff Buckley's Debut Album) Came Out In 1994. While The Original Reception Was Tepid At Best, It Would Eventually Sell Over 2 Million Copies Worldwide. 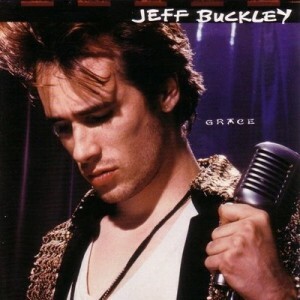 “Grace” was to be Jeff Buckley’s one and only “proper” album. It was not that successful when it first came out (1994), but the early demise of Jeff brought a lot of notoriety to it – a notoriety that it actually deserved the first time around. The music is quite hard to classify, and that might have been the reason why the buying public was not that keen on it when it was released. The only was to describe Buckley’s music is by making a multiple reference, with the gentleman that defined his music as “folk/pop-rock with a slight Goth touch” coming near the mark. If that label is a bit hard to get around even today, imagine what it must have been like in the mid-90s when genres like Grunge were the order of the day. Jeff was clearly ahead of the curve. The first track is not really a great song, but it is a great way to start the album with its alternation between dreams (as represented by the lulling verses) and reality (as portrayed in the increasingly-loud choruses). The disc on the whole has an incredibly oneiric quality, and that is why such a song works perfectly as an album opener. The song is left to interpretation, with Buckley himself having explicitly linked it to heroin at least once. The album itself does not hit a high note until “Last Goodbye” comes around (track number 3). I have already talked about the song in the general introduction, and there is nothing to add except maybe saying that it captures the humanity of Jeff’s voice like nothing else. The song gained a lot of notoriety upon being used in Cameron Crowe’s film “Vanilla Sky”, too. I don’t know how many of you are aware that “Vanilla Sky” is actually a remake of a Spanish film named “Abre Los Ojos” – the Spanish version gets the nod when it comes to storytelling, but Crowe’s version (as you would imagine) is unbeatable musically. The two songs that follow (“Lilac Wine” and “So Real”) are easily the weakest on the whole record, with “Lilac Wine” adding nothing to the canon of drinking songs in rock & roll. And to be frank, the one and only song like that I enjoy is “Drown Where The Drunkards Roll” by Richard & Linda Thompson. The first song on side two, now, is “Hallelujah”. As everybody knows, it was to be Jeff’s defining posthumous hit. There is a lot to say about the song and its story. It was originally written and recorded by poet-turned-musician Leonard Cohen in 1984, for the album “Various Positions”. As recorded by Cohen, the song had four verses. 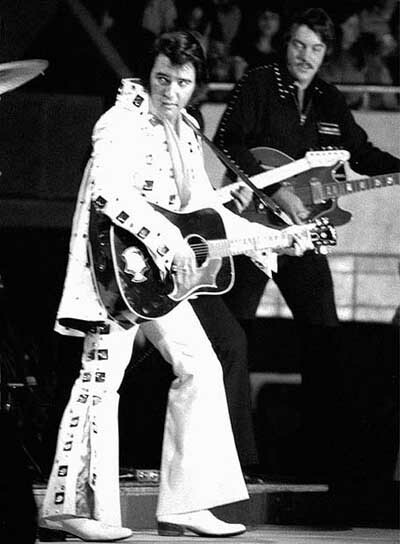 Then, John Cale wanted to do a cover and got in touch with Cohen. The ensuing communications resulted in the Canadian musician mailing Cale all the verses he had originally written. There were about 80 (!) of them. John Cale retained the first two, and added four new ones from Cohen’s original MS. He rendered the “new Hallelujah” as a solo piano piece. Jeff Buckley’s version follows Cale’s reimagining of Cohen’s song, only that it is done on electric guitar. The song had been a hit for other musicians before, but many consider Buckley’s version the definitive take on a song that even Cohen now admits that has been overplayed. An unbeatable record for you: the song was the first in more than 50 years to occupy both the number one and number two positions in the UK singles charts when fans of Buckley fought back Alexandra Burke’s version in 2008. Burke was the winner of the fifth edition of “The X-Factor”, and she actually admitted not caring about recording and issuing the song. That (justly) irked fans of Jeff, who also decried the commercialism of the show won by the English model and singer. The result was that the two versions hit the top spots in December 2008, after a strong campaign to bring Buckley’s version back into the mind of everybody (specially younger people). I know there is more to “Grace” than “Last Goodbye” and “Hallelujah”. But the two songs are to dominate any discussion of Jeff’s debut because they are historical performances in which he showcased such an indissoluble expressive force. I am discussing the songs I haven’t mentioned yet in the second part of this review. Continue to part 2 of the review. No words can describe Jeff’s Music, or even Jeff himself. He was truly someone like never before. His music is timeless, priceless, beautiful, paradisaical. He had the most angelic voice, even when he wasn’t singing. My favorite songs by him, are always the live ones. Except sadly, he never got the chance to sing the “Sketches for my Sweetheart the Drunk” live. My favorite on that album is probably “The Sky is a Landfill” My favorite song from “Grace” is “Lover, You Should’ve Come Over” The poetry, is phenomenal. If you haven’t listened to Jeff’s music, try and feel the chills on your body and the hairs on your back. Your mind will be blown away. You will only know two kinds of music, good and bad.